From the museum-filled 7th arrondissement to the luxurious 16th and the quiet residential streets of the 15th, western Paris offers plenty of options for tourists, professionals, expats and students coming to the French capital. Situated on Paris’ Left Bank, the 7th arrondissement is home to more attractions than anywhere else in the French capital. Since the 17th Century, it has been considered the home of the French aristocracy. The Hôtel Matignon, Hôtel Biron and Hôtel de Salm are showpieces of the glorious “Hôtels Particuliers” (mansions) built for such families. 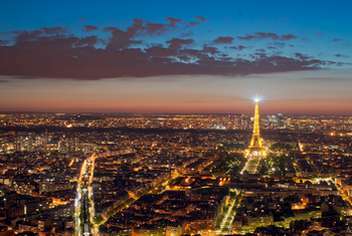 The 7th is, of course, the home of the iconic Eiffel Tower, making it a powerful draw for visitors from across the world. For this reason, restaurants and accommodation tend to be more expensive in this neighborhood. Does this sound like the neighborhood for you? Take a look at our fabulous range of furnished rental apartments in the cultural hub that is the 7th arrondissement. Frequently likened to New York’s Upper-East-Side and London’s Kensington & Chelsea, the 16th arrondissement (also known as the “arrondissement de Passy”) is one of the wealthiest districts in Paris. 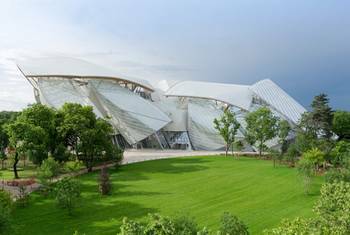 It’s made up of high-end residential neighborhoods, a number of major sports venues (including the Parc des Princes and Roland Garros) and, of course, the colossal Bois de Boulogne (Paris’ second largest park). The 16th is particularly popular with expats and families as it offers plenty of open space, some of the best schools in the capital, direct access to central Paris and the business quarter of La Défense. Interested in staying in this area? Check our fabulous selection of furnished rental apartments in the chic 16th arrondissment! The 15th arrondissement, also known as the “arrondissement de Vaugirard”, is situated in the south-west of Paris. Serving as a commercial and residential district, it is the largest arrondissement in Paris, both in terms of size and population. The 15th arrondissement is famous for its train station, the gare Montparnasse, which was the site of a dramatic derailment in 1895. It is also home to the Tour Montparnasse, the tallest skyscraper in central Paris, which arguably offers the most beautiful view of the city from its 360° viewing deck. The 15th is more affordable than its neighboring arrondissements and, if you stay here, you’ll be within walking distance of the Eiffel Tower and the 7th arrondissement. Lodgis Tip: Take a workshop at le Cordon Bleu, the home of the historic cookery school. 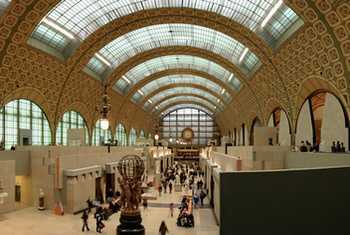 Short courses start from 45€ and range from The Art of French Cuisine to Macaroon workshops. Do you like the sound of this area? Check out our fabulous selection of furnished rental apartments in the lively 15th arrondissement! Looking for a place to stay in Paris for a few days, weeks or months, but still not sure where? Take a look at our article on the most vibrant districts in which to live in Paris.